Tondo, Manila (March 25, 2010) – Project PEARLS, a small group of family and friends who share the same mission and passion in trying to make a difference in the lives of the poorest of the poor children in the Philippines is getting the recognition they deserve from people all over the world. 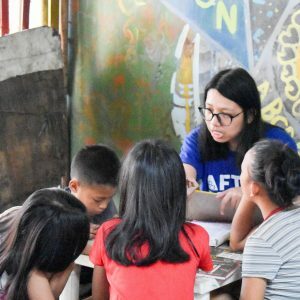 The focus of their outreach efforts is at Ulingan, a slum community in Tondo, Manila. 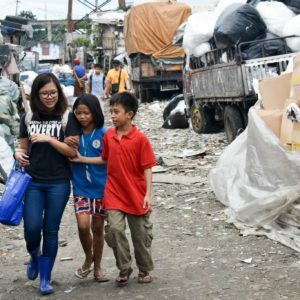 Ulingan sits on a dumpsite and a charcoal factory where over 400 families contend all day with the heat, fumes, dust, stench, flies and, at night, the mosquitoes and vermin. 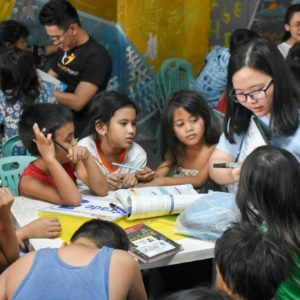 In 2010, Melissa Villa, the founder of Project PEARLS saw some pictures of the Ulingan kids on the internet and decided to help them. She quickly found like-minded souls in Photo Kalye, a group of photographers who was already active in Ulingan. Both groups decided to join forces and since then they have build a new day care center in Ulingan. After only 7 months in Ulingan, Project PEARLS and Photo KALYE have now weekly feeding missions and regular medical missions in place. They just launched a scholarship program for deserving children. Project PEARLS is also looking into livelihood programs for the mothers of Ulingan. Project PEARLS & Photo Kalye have been successful with their outreach in Ulingan not just by the services they provide but by the passion, love and dedication that they place in every thing they do and by touching everyone they meet and inspire along the way. They have been welcomed by the residents in Ulingan and have gained their trust and respect. 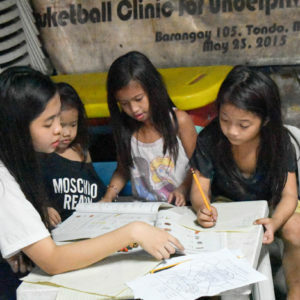 Ms. Melissa Villa has big dreams for the children of Ulingan but unlike others, she has the talent and the drive to make her dreams come true. 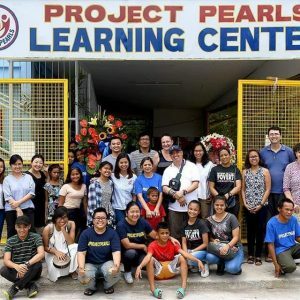 Project PEARLS is not only about food and donations. 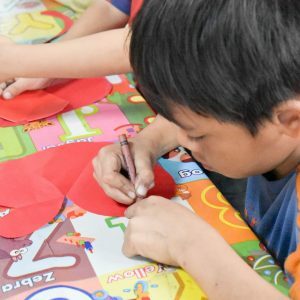 Project PEARLS wants to give those kids love, joy and show them that they are not alone. Those people genuinely care for them. All Project PEARLS’ volunteers say that they are amazed and deeply humbled by the love and affection they get back from the children of Ulingan. Project PEARLS is not a fancy outreach ministry; it is nothing large or grandiose; it doesn’t compete or seek for glory. They just simply want to feed the hungry, clothe the naked and hold the hands of those who hurt. “The best way to find yourself is to loose yourself in the service of others”- M. Gandhi The team and supporters of Project PEARLS have accomplished just that by helping underprivileged children in the Philippines have a better life by giving them P.E.A.R.L.S. Peace, Education, Aspiration, Respect, Love and Smile.